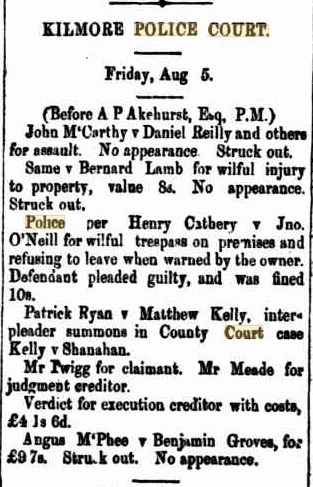 It was during 1854 that Kilmore locals formed a committee to establish a hospital. At first, a temporary hospital was established in private homes. Honorary services were provided by Doctors Beavan, Bindley and Nicholson. The committee arranged for a Melbourne Architectural firm to call tenders in December 1858. 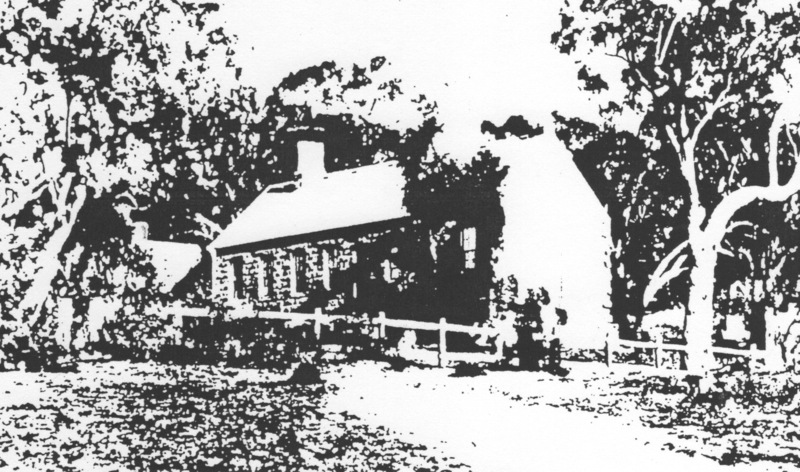 A local builder, J Mahoney, was successful and the foundation stone was laid on 17 March 1859. Although not complete, the first patients were admitted on transfer from the temporary hospital in January 1860. 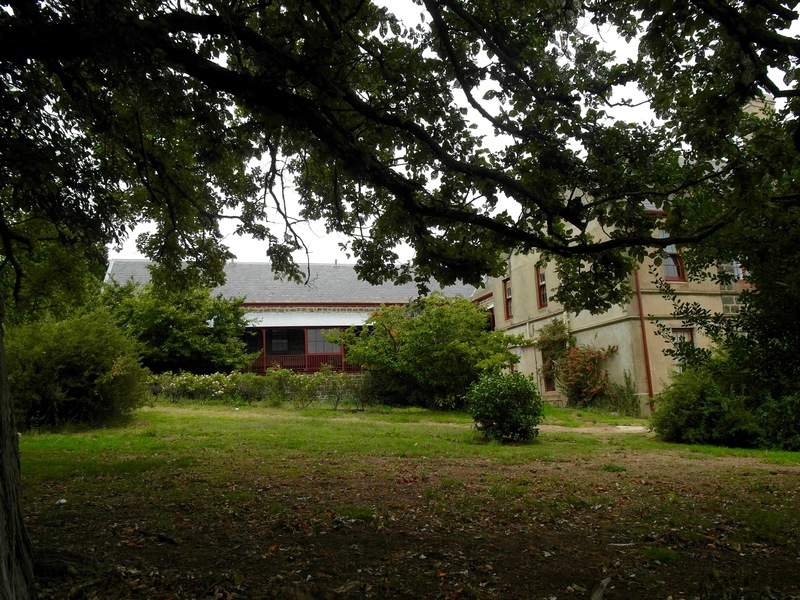 This blue stone building remains in use today known as the East Wing, see 1860 image below. The location of the foundation stone is not known, but could be still extant at the east end where the ground has been partially built up with soil. During 1860 eigthtysix patients were admitted. In 1867 a tender was accepted for the erection of a new two storied bluestone wing. Both wings today are used for administration services. 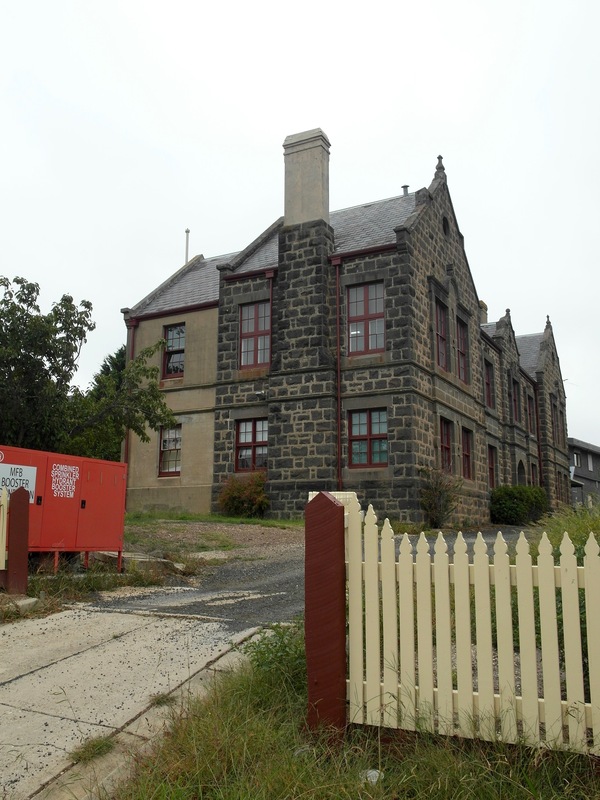 Over the years there have been a number of additions as the Hospital continues to serve Kilmore and District. It was not until the mid-1930s that a maternity ward was erected. Prior to then mothers either had their babies born at home or in small private hospitals operated by midwives. Also it was unusual for children to be admitted in the 1800s. 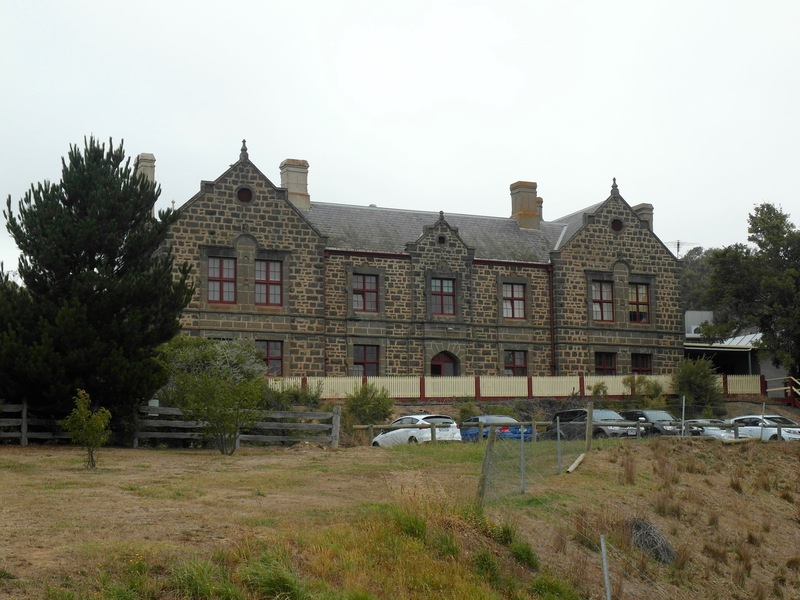 To read more about the Kilmore and District Hospital and other health services see Maya Tucker’s chapter Tickets to Health, in her book Kilmore on the Sydney road, (1988) pages 108-123. In relation to hospital records, the Hospital holds a good collection of old documents. Steps are now being taken to digitise these records. Our Society holds an idexed typed copy of the Day Book Register for 1860 to 1881. 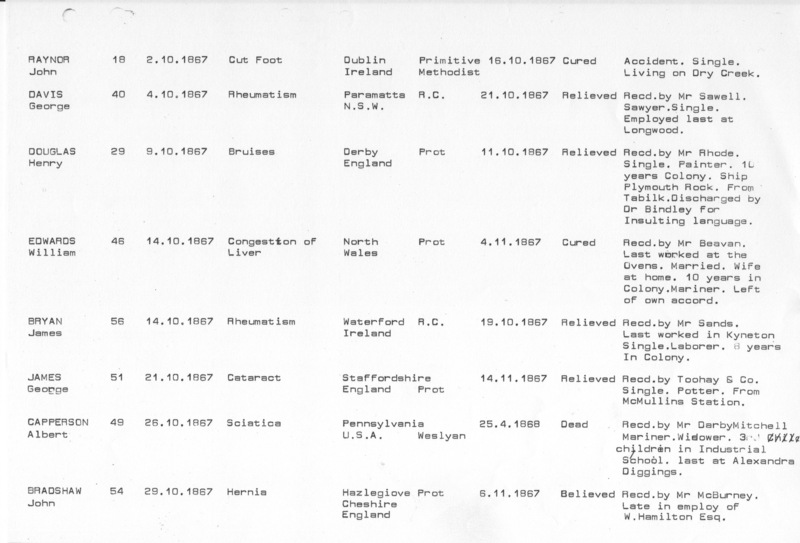 These are very useful for local and family history research, see sample page below. 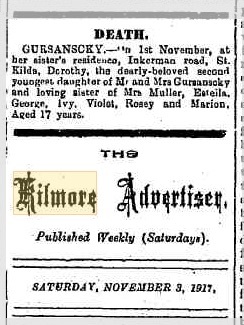 Here you will be able to search and read the following Kilmore papers. See several images below. Our Society holds the following newspapers on microfilm, although some runs are not complete.